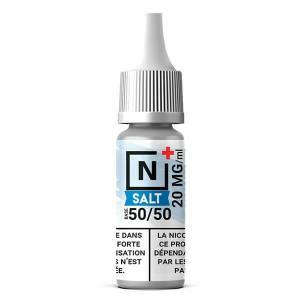 Booster with Nicotine Salts, 50/50 in PG/VG and 20 mg/ml in Nicotine Salts. Vaped alone or in a PG/VG Base. (Re) Discover the Heisenberg in Nicotine Salts Version! Perfect for beginners! The famous Pinkman is available in a Nicotine Salt Version. Perfect for beginners. A mixture of Classic American Blond flavours - 3 x 2ml. Adapted for the Koddo Pod Nano. A mixture of Pineapple and Mango - 3 X 2 ml. Adapted for the Koddo Pod Nano. A balanced alliance of Green Tea and Garden Mint - 3 x 2ml. Adapted for the Koddo Pod Nano. Red Berry Fruits with Blackcurrant contrasted with Fresh Mint - 3 x 2ml. Adapted for the Koddo Pod Nano. An audacious meeting between Blood Orange and Cactus - 3 x 2ml. Adapted for the Koddo Pod Nano. Raspberry in the spotlight of a Sorbet Version with a touch of freshness - 3 x 2ml. Adapted for the Koddo Pod Nano. A trendy Green Apple. Lightly acidic, sweet and juicy, she is realistic to chew. The Apple, a fruit that defends itself. A Lemon fruit with a zesty note without to much acid. A side which reminds you of an artisanal Lemonade. A Raspberry Sorbet with a touch of freshness. With Nicotine Salts. Bite into the Cucumber of this great fresh e liquid ! Rub yourself with the Pitaya of the Dragon Fruit ! Savour the delicious perfume of Citrus Fruits, exotic and sweet! Benefit with an original flavour of Blue Raspberry ! 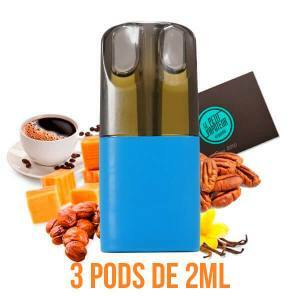 Perfect for DIYers which vape using a pod or in search of softer hit. The Booster contains 20mg/ml in Nicotine Salts. A good Forest Fruits Jelly freshly picked with a touch of Menthol. Refresh yourself with Iced Orangeade, accompanied with Super Fruits. Make the most of this Red Fruits spread with notes of Vanilla. 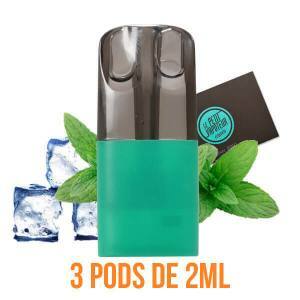 Vape a very strong Mint with Cactus Juice with Lemon Notes. Shivers of large Icebergs brought by Crystal Mints, recomforted with Sugar Cans for timeless pleasure. An explosive fluid with a combination of Red Currants, Strawberry and Lemon Fizz. Nectarine Milkshake, Strawberry Coulis and Cereal Chips. Island Classics, Banana Flambée and Praline flavours. Dragon Fruit, Iced Orange, and Papaya Juice. In Violet Ether, the rigor of Red Currants meets a juicy Cherry Fruit. Appreciate this recipe Lemon Meringue Tart. A pastry full of gourmandise!